the Theoprax-Method, a new way to use conductivity measurement in analytical chemistry, opens up new prospects in complex chemistry, pharmaceutical chemistry and biochemistry. In complex chemistry, the pH-spectrum makes it possible to make a statement about the concentration of the complex, complexing agent and central ion. Also you can make a statement about the stoichiometry of the complex in solution. It is no more necessary to isolate it. The pH-spectrum shows you how the stoichiometry of the complex changes with the pH-value of your solution. Furthermore, it shows the preference of the complexing agent/central ion for an metal ion/complexing agent in the presence of other metal ions/complexing agents. The pH-spectrum also shows the optimum pH-value for complex formation. In pharmaceutical chemistry and biochemistry for example you can use the Theoprax-Method as a diagnostic tool to speed up your separation technique (affinity chromatography). The pH-spectrum makes it possible to show the enzyme-inhibitor-complex, enzyme-substrate-complex, the catabolism of the substrate as well as the pH-activity-curve of the enzyme. It is also possible to show the interaction between antigen and antibody. For very expensive samples you can try to use microelectrodes. If you need more information or have any question please do not hesitate to contact our service. 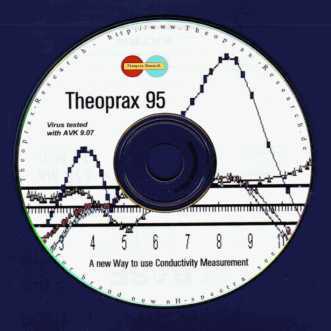 I would be glad, if the Theoprax measuring method would help you to reach your research goals as much as it helped me and that you will be able to carry out your research work more quickly and more effectively with the measuring results gained through this new method.